TUESDAY, Dec. 20, 2016 (HealthDay News) -- Expanding Medicaid -- the U.S. federal-state health insurance program for the poor -- gives people access to a broader array of hospital choices than they had when they were uninsured, a new study suggests. 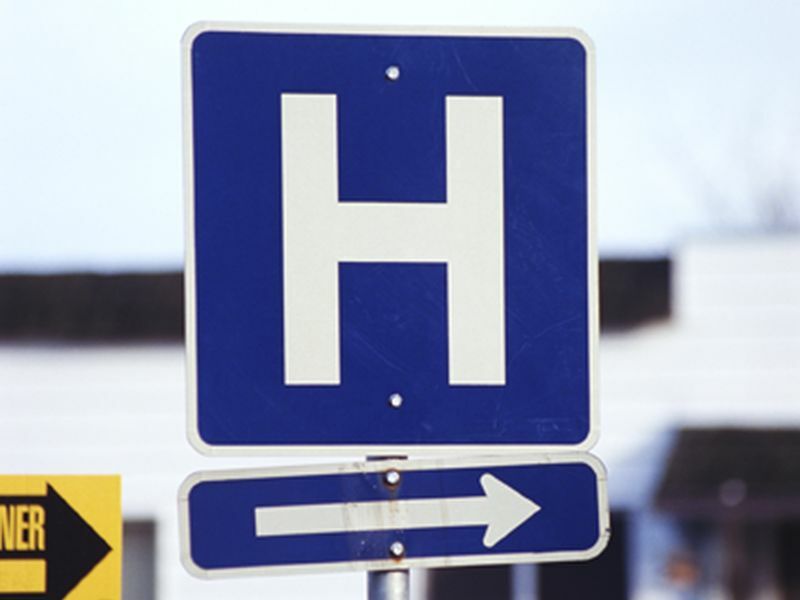 Often, people are choosing hospitals closer to home, researchers reported. The study uses data from two investor-owned hospital systems to see whether the 2014 Medicaid expansion provided under the Affordable Care Act (ACA) -- often called Obamacare -- affected emergency department use. To date, 31 states have expanded Medicaid coverage to people in households making less than 138 percent of the federal poverty level, researchers said. In 2016, that's less than $16,394 for a single person and $33,534 for a family of four. The new analysis focused on whether the insurance expansion altered where people go for care. It didn't look at how much care they received, whether that care was appropriate or the quality of care. "By expanding Medicaid, it broadened access potentially to affordable care at a broader range of facilities," said study author John Graves. He's an assistant professor of health policy at Vanderbilt University School of Medicine in Nashville, Tenn.
"They seem to be kind of voting with their feet," he said. For example, people are switching from public to private hospitals. Graves said that his own office is located across the street from a low-income housing complex. That residence is right across the park from the nearest for-profit hospital. Nashville's public hospital, however, is situated a couple of miles across town. Uninsured patients use the public hospital "without having to worry as much about having unpaid medical bills," he explained. But, had Tennessee expanded Medicaid under the ACA, more low-income people might be using the closer facility, he suggested. Dr. Maria Raven is an associate professor of emergency medicine at the University of California, San Francisco, School of Medicine. She wasn't involved in the new study. Raven reasoned that Medicaid expansion "is a good thing for the patient if these hospitals actually offer higher quality or equivalent quality care," compared with facilities that are farther away. "The somewhat troubling part would be if these for-profit hospitals are driving patients away from public hospitals that depend on their visits," Raven said. Public hospitals that primarily serve Medicaid beneficiaries and the uninsured would need to compete with for-profit hospitals for business, she explained. The study compares changes in emergency department visits in states that expanded Medicaid under the ACA versus those that didn't. And, it looks at that information pre- and post-Medicaid expansion. The investor-owned hospitals in the study operate in six Medicaid expansion states and 14 states that did not expand Medicaid as part of the health care reform law. Before 2014, the sample hospitals had similar trends in emergency department visits, the researchers said. Twelve months after the Medicaid expansion, emergency departments treating patients in expansion states saw a sharp decrease in uninsured visits (down 47 percent). There was an even sharper increase in Medicaid visits (up nearly 126 percent), the investigators found. Increases in Medicaid visits to private hospitals occurred across all types of visits, even very serious types of care, like poisonings, thigh bone fractures and brain bleeds, according to the report. Could it be that ambulance drivers are determining where these patients go for care? "It could be that, but more than half of the folks showing up with these conditions just came in on their own," Graves said. And there's evidence that these patients are using hospitals close to home. Travel times to the emergency department dropped by 3 minutes, on average, for people who gained Medicaid coverage, the study authors said. Shawn Gremminger is director of legislative affairs for America's Essential Hospitals, which represents public hospitals. He said the study demonstrates the importance of maintaining coverage under the ACA, also known as Obamacare. "Coverage creates choice, which allows people to receive care closer to home and in familiar surroundings," Gremminger said. "If Congress insists on repealing the ACA without a replacement, we must restore cuts made to the safety net to ensure essential hospitals can continue caring for vulnerable patients and underserved communities," he added. Findings from the research were published online Dec. 19 in the Annals of Internal Medicine. The study received funding from the Robert Wood Johnson Foundation.